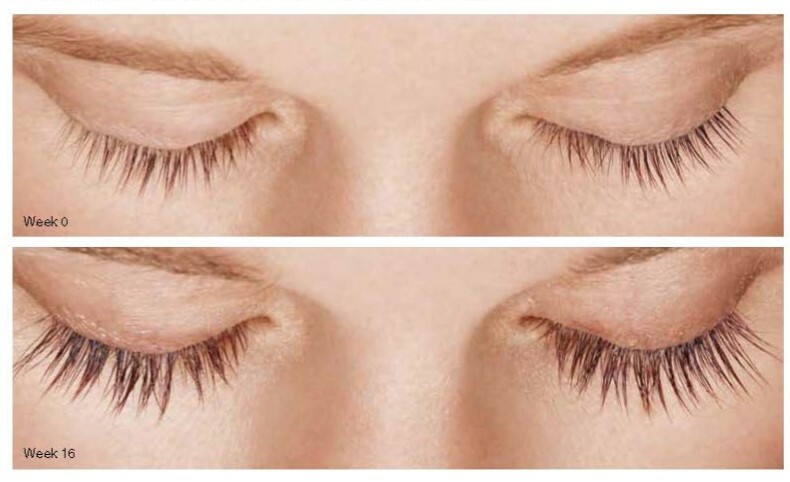 LATISSE is the only FDA-approved treatment to grow eyelashes longer, fuller and darker. LATISSE has been studied for safety and efficacy and is only available with a prescription. Application of Latisse is easy and done only once a day to the upper eyelid/lash margin. Results can be seen as early as 4 weeks but are maximal at 16 weeks. One bottle lasts approximately 3 months. How do I use LATISSE ? LATISSE is a treatment you apply yourself each evening to the base of the upper eyelashes. Each LATISSE kit contains detailed instructions for proper application. You can also watch a video demonstration on How to Apply Latisse or see detailed instructions on How To Apply Latisse. Patients should remove any makeup, clean the upper eyelids and remove their contact lenses, if applicable. Contact lenses can be placed back in the eye after 15 minutes following the application of LATISSE. Then, using the single-use applicator brush provided in the package, one drop of LATISSE is placed on the applicator brush and applied to the base of the upper eyelid lash margin. DO NOT APPLY in your eye or the lower lash line as excess hair growth outside the treatment area may occur. The same process is repeated using a fresh applicator brush to avoid cross contamination. After applying, any excess fluid should be blotted off with a tissue. For best results, LATISSE needs to be used once a day for 16 weeks. Using LATISSE more than once a day will not grow your lashes faster or improve the effectiveness of the product. I tell my patients that they need to be patient when using LATISSE as the growth is gradual over time. Some may start to notice longer lashes after about a month and many should experience full results in approximately four months. This is similar to the clinical trial results, but individual results may vary. Just like it takes some time for LATISSE to work, if use of LATISSE is discontinued, eyelashes will return to their previous appearance over the course of several weeks to months. What happens if I stop using LATISSE ?